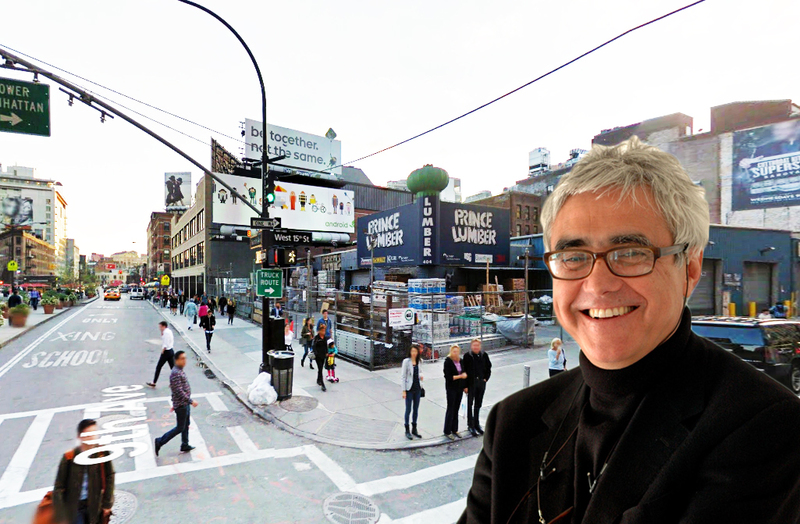 Look out—not up—because there’s a new low-rise Rafael Vinoly-designed building coming our way. The architect mastermind behind the city’s tallest residential tower, 432 Park Avenue, has just been chosen to design a comparatively demure ten-story office-and-retail building in the Meatpacking District, reports The Real Deal. The new addition is being developed by Vornado Realty Trust and Aurora Capital Associates and is located on the former site of Prince Lumber at 61 Ninth Avenue. No design details have emerged thus far, but the building will come with 123,000 square feet of space with retail at its first two floors and office space above. And given its position just a block from the High Line, something starchitecturally audacious wouldn’t be totally out of order.